1 passes to 2 and cuts across the ice. 2 steps out and leaves a board pass for 1. 1 picks up the puck and heads down the wall. 2 drives the net. 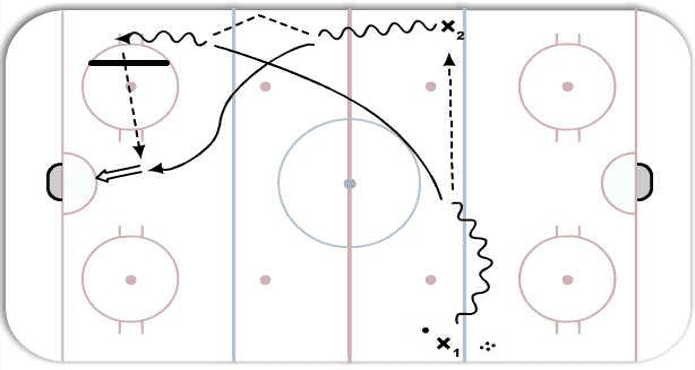 1 makes a timing / saucer pass over the rink divider to 2 for a redirect/shot. 1 & 2 go to the net.